3 weeks until Dublin Racing Festival - giveaways and exciting news inside! Dublin Racing Festival is less than a month away and to celebrate we have teamed up with the generous sponsors of The Grade 1 Flogas Novice Steeplechase on Sunday 3rd of February. 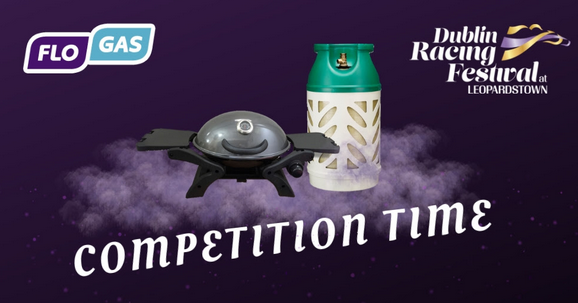 One lucky winner will win this fantastic BBQ and 10kg gaslight cylinder as well as 4x VIP Premium Level Access Tickets to Day 2 of Dublin Racing Festival on February 3rd. Simply click the image above and fill in your details to enter. Winner will be chosen on Tuesday 15th January. Best of luck!